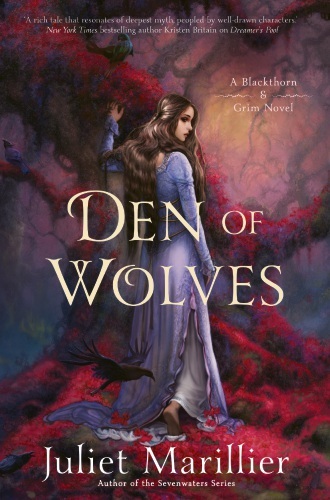 Den of Wolves by Juliet Marillier. AWARD winning historical fantasy author Juliet Marillier will be in Duncraig in May to talk about her path to becoming a full time writer and about the vital role of the storyteller. Marillier’s novels combine historical fiction, folkloric fantasy, romance and family drama and focus on human relationships and the personal journeys of the characters. She has won many awards for her writing, including five Aurealis Awards and four Sir Julius Vogel Awards, as well as the American Library Association’s Alex Award and the Prix Imaginales. She is active in her local writing community, mentoring aspiring writers, giving workshops, and is a regular contributor to genre writing blog Writer Unboxed. Marillier will be at Duncraig Library from 6pm on May 9 for a City of Joondalup and Dymocks Joondalup’s meet the author event. Cost is $4 and the presentation will run for about one hour, followed by refreshments. Copies of Marillier’s books will be available for purchase and signing on the night. To book, go to www.joondalup.wa.gov.au or call 9400 4751.